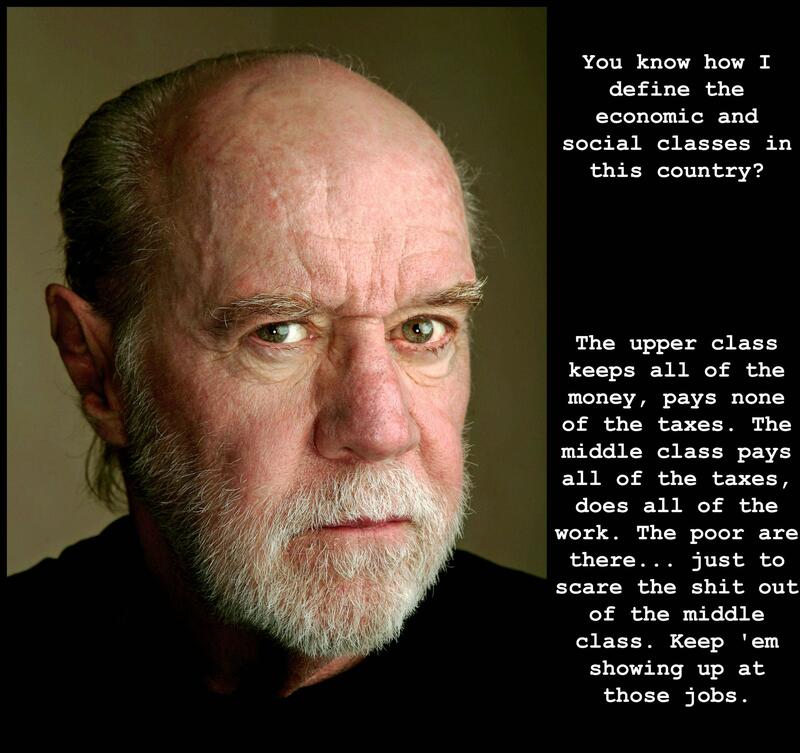 George Carlin was a very smart man. And funny as hell. I have enjoyed watching so many of his videos over the years. I saw this image today over on Reddit and thought I would share it. With the economic turmoil going on globally, and the rich not getting any poorer, this quote seems bang on! Thank you. Make it one of my evening shares on Facebook. Like to end the night with a bit of humor–particularly when it points to a truth. Next PostNext Does the Internet Fail at keeping us up to date on world events? Information overload?